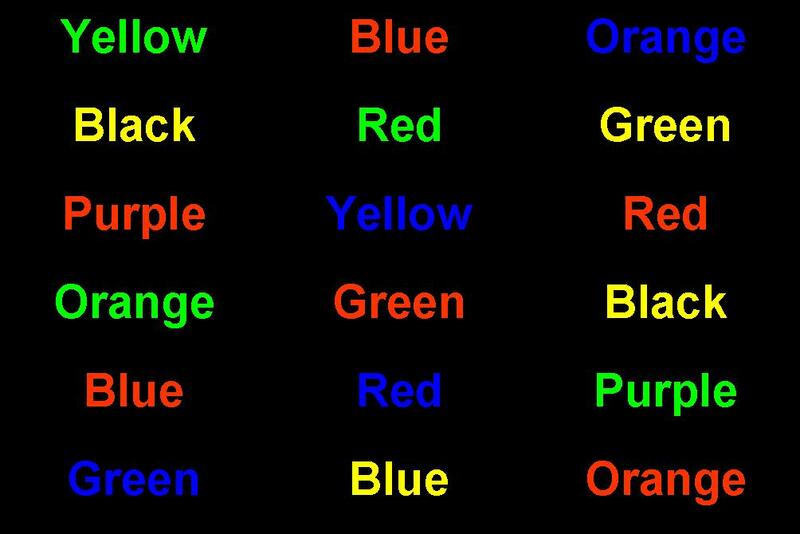 When most people try to do the brain teaser below, they try to say the color but end up saying the word...or, they manage to say the color after some hesitation. Why does this happen? There's a hint in the title of this post. You can also scroll down to find out. Right now, neither side of my brain wants to do anything but sleep! Hey - thanks for visiting my blog, and for clearing up the whole meters to feet/miles kind of thing. Can I link 2 u? If so, send me the link.